With the rise of podcasts and audiobooks these days, there is no doubt that the digital spoken word audio is not just a passing fad. Audio content has certainly gone a long way ever since the first commercial radio system was invented during the turn of the century. Nowadays, almost no one listens to radio dramas and only a few get their daily news and music fixes from the AM and FM radio. The world has entered a new era of audio, which is pretty much digital, portable, and accessible anytime and anywhere. Though music is still the most-widely listened to audio, spoken word digital content is slowly gaining momentum through podcasts and audiobooks. The first podcasts have made their way onto the web as early as the year 2000, but it is only more than a decade later that the world has reached a so-called “podcast renaissance,” thanks to Serial, the podcast that raked in more than five million listeners. But credit is not due to Serial alone, as the number of podcasts in iTunes alone has increased to 250,000 at the end of 2014 from 200,000 in 2010. According to SocialFresh, nearly one out of three Americans had listened to a podcast at some point in their lives. According to NY Mag, the resurgence of podcasts has a few possible reasons, one of which is the better quality of podcasts today. These spoken audio content pieces are no longer amateurish, as in the case of podcasts in the early 2000s. The top podcasts today are full-scale productions with real staff, budget, and industry expertise behind them. Furthermore, the production costs of creating podcasts are much lower compared to a TV or radio show. Advertising rates for successful podcasts, on the other hand, are big enough to pay for the costs many times over. The cost per thousand impressions (CPM) for a podcast is between $20 and $45, much higher than the CPM of traditional radio at $1 to $18 and network TV at $5 to $20. 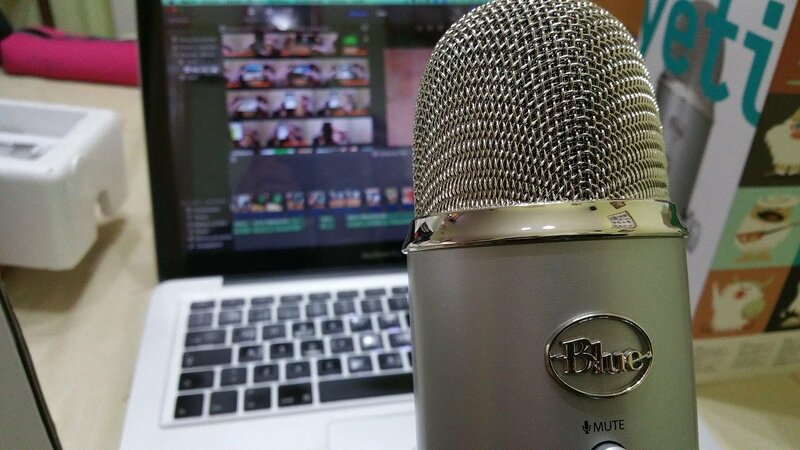 Many podcasters can afford to keep their products going for free. More than half of podcast listeners in the US listen through their mobile devices. And with 80 percent of the world’s population owning a mobile phone, that means that podcasts are accessible to them on demand 24/7. Listeners also have a wide variety of platforms that they can use to listen to podcasts, like the default Apple Podcasts app, Pandora, and Spotify. But podcasts are not the only spoken word audio content that is currently at its heyday. People are also listening to audiobooks as an alternative to traditional books and e-books. According to research firm IBISWorld, audiobook revenues hit $1.6 billion in just a span of five years, from 2008 to 2013. That translates to an average of 12 percent increase of global audiobook sales. Audible, the world’s leading supplier of audiobooks has already paired around 26,000 e-books with professional narrations. The company is aiming for 1,000 titles a month to eventually bring the number close to 100,000. Amazon subsidiary Audible also teamed up with Audioboom Group PLC, a digital social media platform from the UK, in order to reach a wider audience. The content deal would enable Audioboom to showcase snippets of Audible content as part of the automated feed of audio. Once an Audioboom user registers for a free Audible trial, Audioboom will receive an upfront payment from Audible. The company will also receive an ongoing percentage of retail sales from that subscriber on an ongoing basis due to Audible’s affiliate program.